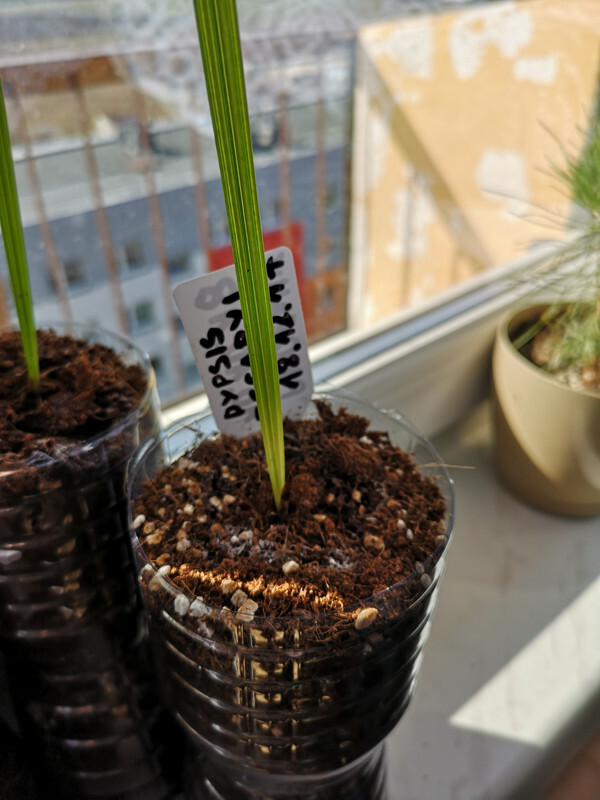 I have a phoenix seedling sown with seeds in October 2018. So far everything was ok. It stands from the beginning in the south, it has the sun. And suddenly he began to turn yellow. The rest of the cuttings is fine. What can it be and how to remedy it? I haven't seen this myself in that specific area, but your seedling looks pretty good to me. As long as the seed is still connected it should be getting all of the nutrients it needs at this stage so maybe it is related to light exposure. What species of Phoenix is it? I'm growing a strap leaf Phoenix rupiola, canariensis, and hybrid reclinata x theophrasti at the moment, although all 3 are likely to be hybrids of some sort! I do not know what kind of phoenix it is. it's seeds from Morocco. maybe the photo is not good, but the seedling is really yellow. It does look like a pretty good seedling. Potting mixture looks pretty good as far as moisture goes. 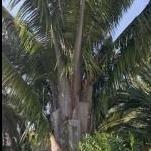 If you wood like, add a palm liquid fertilizer that you can mix in a spray bottle, this may help. You can pick some up at a local home depot if you are a hobby grower. If it is more yellow than appears, maybe more photos will help? Also, Love the water bottle liners! Very economical and allow the roots to grow deep! Good job. this seedling from the bottom turns yellow.